ProVanax Review: Ingredients Research - Bad Side Effects? ProVanax Review: Ingredients Research – Bad Side Effects? Made in USA, ProVanax is an over the counter supplement formulated to reduce anxiety, panic, and depression symptoms to help elevate the mood. But do its ingredients really work without side effects? Where to buy ProVanax – Amazon, GNC, Walmart, or..? ProVanax Ingredients Review: How Do They Work? Seeking to allay skepticism, we’ve comprehensively reviewed key ingredients of this mood optimizer, including what are the medical research results on ProVanax ingredients in term of their effectiveness to help improve our mood. Native to Europe and Asia and naturalized in North America, Valerian is a flowering grassland plant that is well known for its sedative qualities and its ability to relax the central nervous system and the smooth muscle groups. the United States Food and Drug Administration FDA listed Valerian rhizome and roots as “Generally Recognized As Safe” (GRAS) as published here. with studies show Valerian increases the amount of a chemical called gamma aminobutyric acid (GABA) in the brain to help regulate nerve cells and bring calming effect on anxiety. Scientists measured the brain waves of just under 50 test subjects. After caffeine was ingested the alpha waves signalling relaxation levelled out. By contrast, the beta waves, signs of nervousness, became more marked. When Valerian extract was administered, this effect was neutralised – an additional indication that the plant does in fact affect the A1 receptor. On the other hand, Charité University Medical Center in Germany conducted a double-blind, placebo-controlled study involving 16 patients with a median age of 49. The study concluded treatment with a herbal extract of radix Valerian demonstrated positive effects on sleep structure and sleep perception of insomnia patients. As such, by improving GABA levels, valerian makes it easier for both the mind and body to relax, by reducing anxiety and improving the length and quality of sleep. Since relaxation is the antithesis of stress, Valerian can significantly help with daily stress management, says Dr. Josh Axe, Certified Nutrition Specialist and expert in Natural Medicine. To learn more on how Valerian in ProVanax work to reduce anxiety and stress while help to get you to sleep – watch this excellent video by Monica Wilde who is a forager, research herbalist and ethnobotanist, and a Fellow of the Linnean Society. St. John’s Wort, also known as Hypericum perforatum, is an herbaceous perennial plant with yellow flowers which is used for preparing different types of medicines for centuries. This herb has active ingredients like Hyperforin with antibiotic properties, and Hypericin that is used for treating depression. According to Münster University Hospital in Germany, St. John’s Wort works by increasing the activity of 4 mood-related neurotransmitters: Dopamine, Serotonin, GABA, and Norepinephrine. When brain’s chemical imbalance occurs, mood swings and negative emotional feelings such as anxiety and depression may be triggered. By increasing the brain’s natural levels of neurotransmitters like dopamine and serotonin, St. John’s Wort helps to put a person’s mood back on track. Ludwig Maximilians University reported 27 clinical trials involving 2291 patients, researchers concluded that St. John’s wort was either more effective than placebo or as effective as older pharmaceutical antidepressants in the treatment of mild to moderate depression. 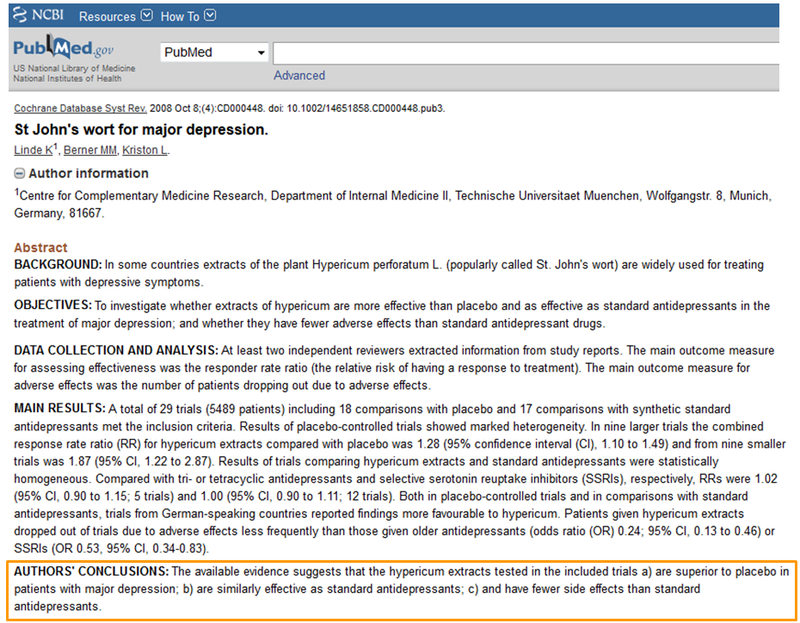 As shown below, another 29 studies on 5489 patients were pooled by Technical University of Munich, with the evidences concluding herbal remedy St John’s wort can be as good at lifting depression as drugs like Prozac, with fewer side effects. 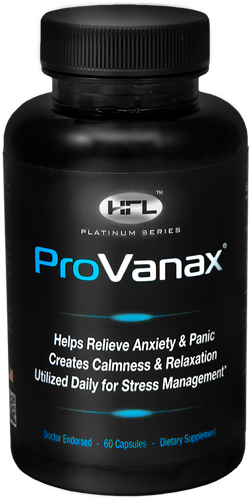 >> Learn More about How ProVanax Ingredients Help With Anxiety, Panic & Depression. 5-HTP (5-hydroxytryptophan) is a compound that the body makes from tryptophan (an essential amino acid that we get from food). It is also produced commercially from the seeds of an African plant called Griffonia simplicifolia. According to WebMD, 5-HTP is used for anxiety, depression, migraine, tension-type headaches, and sleep disorders. 5-HTP works in the brain and central nervous system by increasing the production of Serotonin, which also plays an important role in depression, insomnia, obesity, and many other conditions. Watch Dr James Meschino explains research supporting 5HTP supplementation for anxiety and other conditions in video below. Passion Flower, also referred as Passiflora incarnata, is a plant that belongs to the Passifloraceae family. The ground parts of this plant is generally used preparing different types of medicines that help in treating generalized anxiety disorder, gastrointestinal upset related to anxiety or nervousness, insomnia, asthma, and high blood pressure. Passion flower helps in enhancing the GABA in the brain to lower our brain activity, and thereby soothes the mind by providing relief from problems like nervousness and insomnia. As stated by Penn State Hershey Medical Center, studies show passion flower is as effective as the drug oxazepam for treating generalized anxiety disorder symptoms. While the natural passion flower did not work as quickly as the drug oxazepam Serax (day 7 compared to day 4), it produced less impairment on job performance than oxazepam. 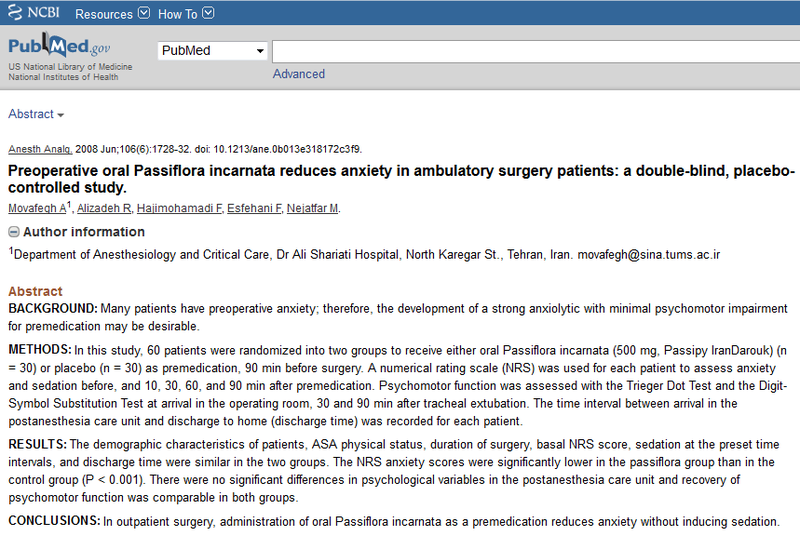 A clinical study published by Dr Ali Shariati Hospital of Iran showed 60 patients who were given 500mg of passion flower as premedication prior to 90 minutes of surgery exhibited significantly lower anxiety level compared to the group of people who had placebo, while they recovered from anesthesia just as quickly, as shown below. Phenibut is an anixolytic compound comes from GABA, a type of neurotransmitter responsible for signal transmission efficiency, as well as to elevate mood, reduce anxiety, induce a calming effect, and enhance thinking abilities. Phenibut has been used way back in 1960’s Russia, particularly to relieve stress and anxiety attacks and psychiatric disorders such as stuttering and severe depressions. Studies indicate this nootropic demonstrated proven efficiency in helping the brain to relax while enhancing their capabilities. L-Theanine, a unique amino acid compound found in green tea, help relaxes the mind without inducing drowsiness, says Unilever Food and Health Research Institute of Netherlands. The relaxing effects of L-theanine is also confirmed by a double-blind controlled research conducted by the University of Technology in Australia on 16 healthy volunteers. Inositol, also known as IP6 or vitamin B8, is a natural compound found in many foods such as beans, nuts, citrus fruits, seeds, wheat, and whole grains. Study by the Ministry of Mental Health Center at Ben Gurion University indicates the efficacy of inositol was similar to fluvoxamine (a prescription antidepressant) in patients with anxiety disorders. Inositol reduced panic attacks by 4 during the first month, compared with fluvoxamine that reduced panic attacks by 2.4. ProVanax Side Effects Review: Is It Safe? The Japanese Ministry of Health and Welfare approved L-theanine for unlimited use in all foods since year 1964, with the exception of infant foods. Research studies published by the U.S. National Library of Medicine and University of Maryland Medical Center indicate St. John’s Wort does not cause loss of libido. Although Valerian is safe as approved by US FDA and Germany’s Commission E, side effects such as headache, dizziness or sleeplessness may occur – says Mayo Clinic. Inositol is a naturally occurring compound that is water-soluble, and does not produce toxic side effects. Most people tolerate Inositol without any problems, but when taken in large doses, you may experience diarrhea, headache, fatigue and dizziness. Just like any new supplement, start low during the first 2-3 days, test only 1 or 2 capsules at a time, simply to see how your body reacts. If you feel fine, then go ahead and begin using higher dosages as recommended by the manufacturer, in which there are several ways one can best utilize ProVanax for maximum benefits and results, vary based on daily symptoms. Made in the USA, ProVanax is an OTC supplement formulated to reduce anxiety, panic, and depression symptoms to help improve your mood – with the efficacy of its all-natural ingredients, including valerian and St. John’s wort, are supported by clinical studies. This product is available to buy online via ProVanax Official Website, regardless if you are in UK, Canada, or Australia. Used For: Help elevate mood, Reduce anxiety, panic, and depression symptoms. Ingredients Profile: All natural ingredients: Valerian, St. John's Wort, 5-HTP, Passion Flower, etc. How To Use: Start low during the first 2-3 days, test 1 or 2 capsules at a time. ← MyPurMist Handheld Steam Inhaler Review: Buy at Walgreens Target?